THE GOVERNMENT SPENT more than €38million on legal fees last year, according to provisional figures provided by the Taoiseach’s office. 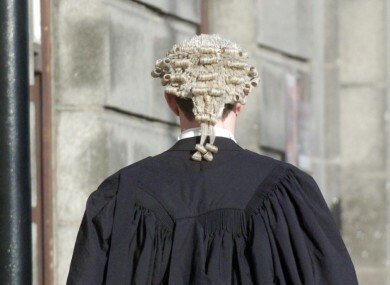 The legal bill of €38,233,000 covers fees for barristers and solicitors as well as expert witnesses and stenographers. However, €23,768,000 of the total went to barristers. Meanwhile, Enda Kenny has acknowledged that a competitive tendering system to reduce costs – which the Government committed to examining after its election – will not be introduced for the time being. The total figure represents a 12 per cent decrease on the year before, when the total bill was €43.5million. Of that, €27.1million was spent on barristers. Currently, barristers for the State are chosen from panels. However, in its Programme for Government the Fine Gael/Labour coalition committed to analysing the benefits of a tendering process for barristers and solicitors. Answering a Dáil question from Fine Gael’s Alan Farrell, the Taoiseach said that the reduction in spending meant proposals for a tendering process have been abandoned for the moment. The figures relate to legal expenses incurred by the Attorney General’s office, the Chief State Solicitor and the DPP. Email “Here’s how much the Government spent on legal fees last year...”. Feedback on “Here’s how much the Government spent on legal fees last year...”.